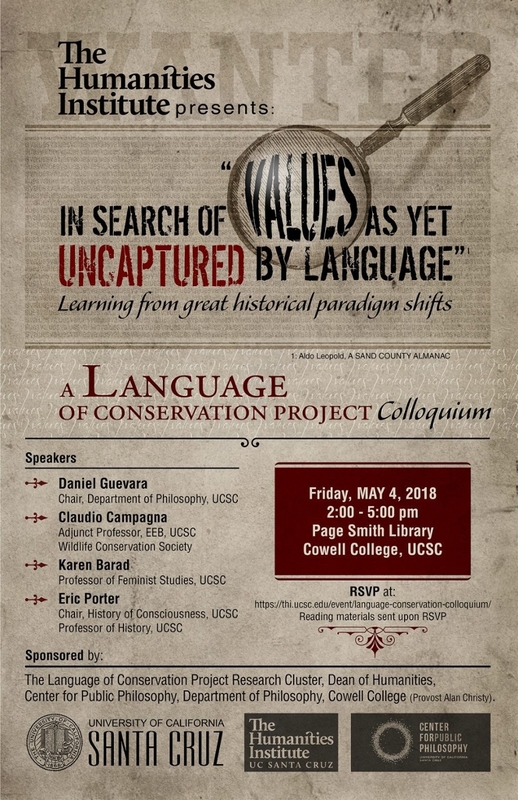 A Language of Conservation Project Colloquium. Presented by The Humanities Institute and the Center for Public Philosophy. RSVP required. Reading materials sent upon RSVP.